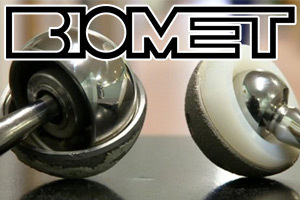 The Biomet hip lawsuits involve claims that the Biomet Magnum hip replacement design was fatally flawed. Why? Because these metal-on-metal hip replacements – touted as the next big thing – became the next big mass tort litigation. These devices have failed. Miserably. With the DePuy cases largely resolved, plaintiffs’ attorneys are focusing with a laser on the other hip manufacturers. Typically, we know that the key to getting these cases settled is to put pressure on the defendants by getting cases to trial. Why? Because the hip replacement defendants know that the jury is going to see these cases for what they are. But we have it backwards here. Plaintiffs want a trial date in 2016; Biomet is ready to go in 2014. I can’t tell you why. But I think the 750 cases is a smaller pool compared to the monster that is DePuy, so it is harder to donate the resources to the litigation. That is all about to change and soon you might see the world pop back on its axis and the plaintiffs will be pushing for trial dates. The Biomet hip is not special. It is an artificial hip replacement system that is metal on metal. The friction caused by metal rubbing while in motion causes problems. There is no real doubt about this anymore. The problems may cause metal fragments to migrate into the patients’ tissue and blood stream. This can cause host of complications, including tissue damage, necrosis, and bone loss. It can also cause blood poisoning. The bigger problem – in most cases – is the hips themselves and the wear and tear of the metal-on-metal. This design corrodes the hip, causing it to break down… and causing pain for the patient. These lawsuits allege that Biomet knew this either in testing or after the product was launched. Are you a potential Biomet hip plaintiff? If you are, these cases are getting more attention and the time is now. Call us today to find out if you have a claim at 800-553-8082 or get information on-line.